I can sing but I am not a sports buff, I can't dance, too. 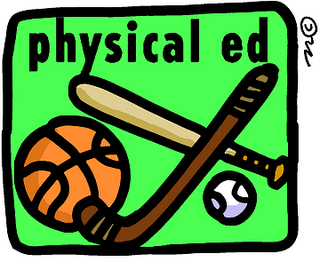 That is the main reason why I never loved Physical Education subjects when I was still a student. In college, I dropped once and nearly failed from 2 of my PE subjects. I only enjoyed a class once, I think it was about Individual and Team Sports. I learned how to play Darts and even won in the tournament. That was only the time I got a good grade in PE. I hate PE as well but not as much as i hate math! Visiting back from my Girl Talk entry. Hahaha. That PE thing indeed! I just love the fun playing has to offer during PE time, but I hated my teachers! LOL. Wena, bigatin ang friend mo. Maths na, in Filipino pa! I think it's awesome although I might get nosebleed, LOL. I'll check it out. You and my hubby are probably gonna get along. He's also a darts champion. But he's very sporty. Basketbolista siya nung heyday niya. Kaso bumigay na ang tuhod so nowadays ang sports niya lightweight na lang. @mj: medyo nosebleed pero nakakaaliw daming matutunan sa blog nya. dropping by from Girls Talk..hope to see you at my HISTORY Class (Hatest Subject). i love PE, especially the sports done outdoors. no, i'm not athletic, i just love to stay outdoors, lol!